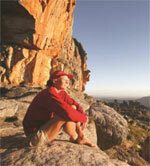 Mild Wild eBook/ePub is the ultimate guide to adventures and activities in Southern Africa. The book rates activities as To Do, Mild or Wild, depending on intensity; as well as grouping them in categories of land, water and air adventures. A brief description of each activity is given together with contact details of companies and tour operators that can assist you in planning your adventure. Fiona has an enviable life of travelling and adventuring, all in the name of work. She has driven the length and breadth of South Africa researching numerous books on hiking, scuba diving, mountain biking, flowers (yes, flowers!) and other adventures. Be the first to review “Mild to Wild -eBook/ePub” Click here to cancel reply.